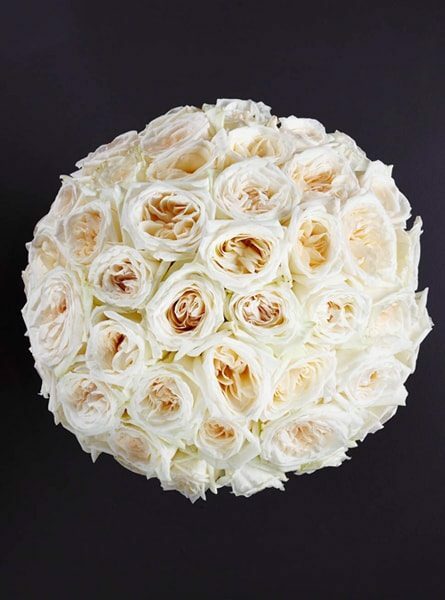 Timeless and elegant, a sumptuous bouquet crafted entirely using fragrant white O’Hara roses. This single varietal design is the perfect, style-savvy choice for any occasion. A minimum of 20 stems in the medium & 36 stems in the large will feature in our perfect pink peony bouquet. Image shows large sized bouquet.